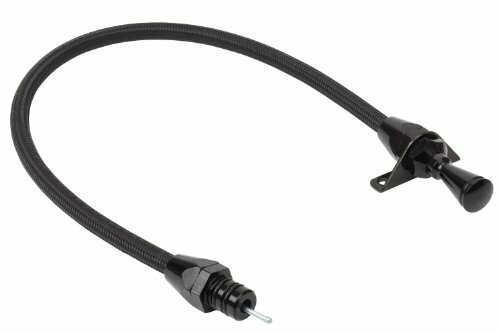 Lokar Firewall Mount Transmission Dipstick with Black Stainless Steel Housing and Black Fittings for GM Powerglide Transmission has an E-X read flexible inner dipstick cable. It has black stainless steel housing and black fittings. It seals with o-rings. It is made in the U.S.A. It has a lifetime warranty.